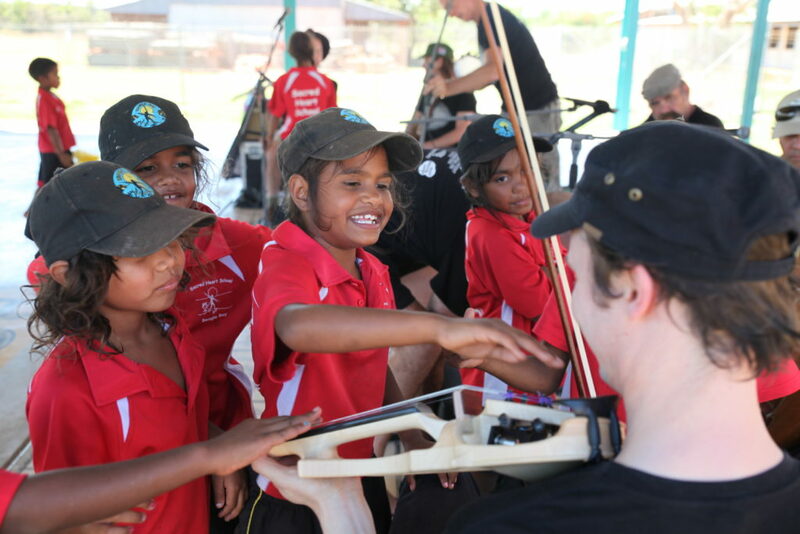 Tura Embedded is an ongoing program creating a unique philanthropic opportunity to support access to world-class cultural programs to some of the remotes communities in Australia. This is an opportunity for Tura Donors (of $5,000 plus) to have a lived-in experience of one of Tura’s Programs, becoming steeped in the both the practice of and the cultural outcomes of those Programs – embedded philanthropy. Tura Embedded program allows Tura donors to travel embedded with the artists and crew throughout the Kimberley. For a fixed price above a minimum donation, Tura Travellers have premium concert packages, special side trips exploring the Kimberley, unique cultural events with the touring entourage, all travel and accommodation and a once in a lifetime experience.